Not every strategy works for every account, since each industry and target user is different, but test out these tips to see what most effectively grows your account engagement, following, and return on investment. PART I: What Happened to the Instagram Bots? It’s official: The Instagram bots are dead. If you’re like me and thousands of others who used Instagram bots such as Instagress, Archie, and PeerBoost to grow your Instagram following by hundreds of followers every week, you’re probably already well aware. This past April, Instagram officially pulled the plug on Instagress, which was one of the more popular bots. We’re going to run through why this was such a big deal, and actionable tips you can apply to grow your account in the aftermath of the bot massacre. In the words of Gary Vaynerchuk, “marketers ruin everything.” When marketers identify a perfect opportunity to reach more potential customers and generate more leads, they really go all in. First it was email, then Facebook, and now Instagram. Marketers abused the use of Instagram bots to the point of Instagram forcing the likes of Instagress and Archie to shut down. That’s probably why you’ve seen a decline in the number of generic (and sometimes spammy) comments on your posts. Below are a few examples of the types of comments I would get on older posts—these often include a handle or hashtag to promote an account and are generic enough so that if the bot commented on a photo that wasn’t exactly in their niche it would hopefully still make sense. Yes, marketers are to be blamed for spamming Instagram the past couple of years, however, for those who didn’t abuse bots, these tools were very effective. Not only were they effective, but they were inexpensive and could be run 24 hours a day, 7 days a week. To make comments more genuine, you had the power to use spintax. This would create variations of a comment so that your account didn’t look spammy by using the same comment over and over again. Enough reminiscing about the golden days of bots—whether you relied heavily on bots to grow your following or never heard of that tactic, it’s time to refresh your Instagram strategy. Let’s dig into how you can still be successful on Instagram, post-bot era. Before we dive into a few advanced strategies for building a successful account, first take a look at your existing posts. Is your content value driven or sales driven? In other words, are you promoting your products or services in every single post or creating unique, relevant, and helpful content that your followers want to share with their friends? If you’re going to focus on Instagram, do it right. Double down on creating high quality photos and videos. A micro influencer is an Instagram user (usually in a specific niche) who has a decent following, say, under 15,000 followers. Working with an account that has 7,000 followers versus trying to break through to someone with 600,000 followers only to pay them an exorbitant amount of money for a promoted post is much easier. Create a list of the micro influencers in your niche, and reach out to them when you’re doing a giveaway. It can be as simple as sending them a direct message: “Hey, I really like your account, and I’m running a giveaway on my page. Would you be interested in sharing it with your followers?” Tailor this message and see how they respond—sometimes, they’ll be more than happy to share your content and giveaway with their followers. If they don’t respond, message them again and offer to pay them. This way, you’ll have five or so micro influencers directing traffic to your account, engaging with your page, and entering the giveaway. Use your best judgement when paying an account for a promoted post. An account with 5,000 followers who are your ideal buyer personas and interact with every single post is worth more than an account with 100,000 followers but little engagement and followers who don’t fit your niche. A niche account is an account centered on a specific topic—such as tiny homes, or golden retrievers. These accounts aren’t promoting a company or brand, and many amass large followings of people interested in that topic. Why would you invest time in growing an account that isn’t your business account? People are more likely to follow and engage with an account about their passions and interests (for example, an account about New England gardening tips) than a business or brand (such as Liv’s Flower Shop). Follow the usual best practices for creating a quality Instagram account by fully building out your profile, posting high quality images,and utilizing relevant hashtags to see your followers grow. You should also use the techniques discussed in the first section about micro influencer marketing to increase your account’s followers. Once you amass a decent following, you can promote useful content from your business every once in a while to your followers. This strategy takes time and is certainly an investment, can create a valuable, targeted audience that you own. Once you have a company or niche account, you can utilize all the great content you publish on your blog. Write a post description about your blog post or premium content offer, or even pull copy directly from your blog post or ebook with a call-to-action to “click the link in our bio to read more.” Just make sure you remember to swap out the link in your bio for a link to the piece of content! It’s a good idea to add the tracking URL at the end of the post description so that after you’ve swapped the bio out, a user going through your old posts can still find the piece of content that the post refers to. Remember that engagement is king on Instagram because of the way the algorithm works—when a user engages with your posts, your posts are going to continue showing up at the top of their feed. 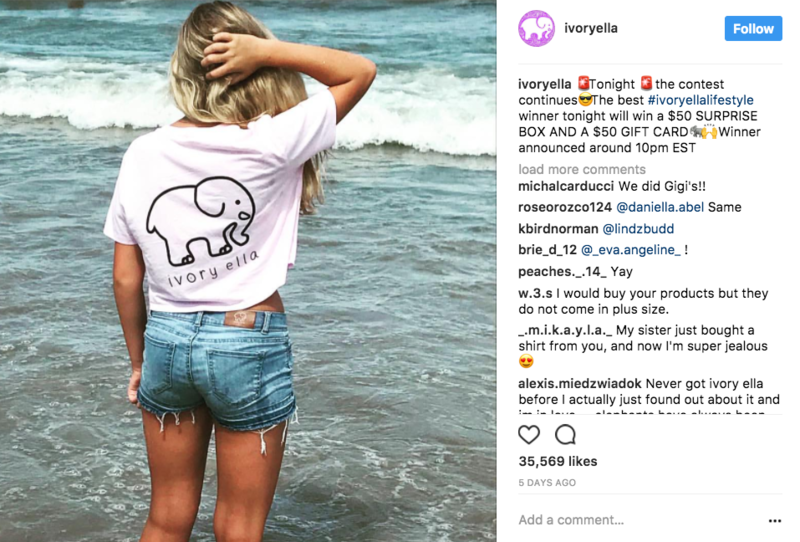 Giveaways and contests, when done right, can boost your engagement, followers, and overall effectiveness on Instagram. 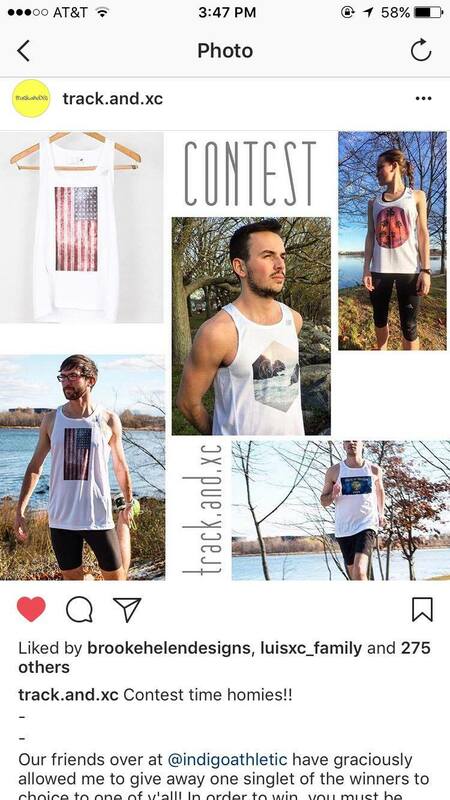 Make sure you don’t promise users something you’re not going to execute on—such as offering a free item to anyone who reposts your photo, which could lead to an Instagram giveaway disaster. Provide enough details about the promotion – The more information you share in the post description, the less comments you’ll have to respond to. Use a tracking url in your Instagram bio that’s specific to the contest – How will you measure effectiveness if you can’t track results? Instagram could change their algorithm tomorrow and completely destroy your organic reach, just like what happened with Facebook. The only thing you truly own is your email list—it’s a marketer’s most powerful weapon. When running a contest or giveaway, require users to provide their email in order to enter the promotion via a landing page at the link in your bio. Use a custom landing page – You know that anyone who clicks on the link in your bio is coming from Instagram, so tailor the messaging and use a mobile-friendly design. Ready to Grow Your Account? Best of luck testing out these tips to grow your account! Be sure to always track how well each initiative works in terms of increasing your followers and engagement rate. Instagram is always changing, so some of these techniques might not be as effective down the road, but provide solid examples of how you can get creative and use the platform to drive results. Brooke is a Marketing Consultant at SmartBug Media where she helps companies grow with inbound marketing. She’s based in New England, but works remote and takes full advantage of this by traveling whenever she wants a change of pace. In addition to social media and Instagram in particular, Brooke is passionate about art and design. You can check out her work and say hello on Instagram @brookehelendesigns.